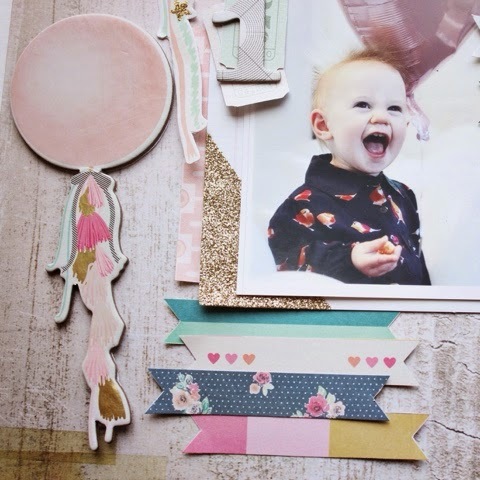 I am just smitten with Maggie Holmes' new line, Confetti. 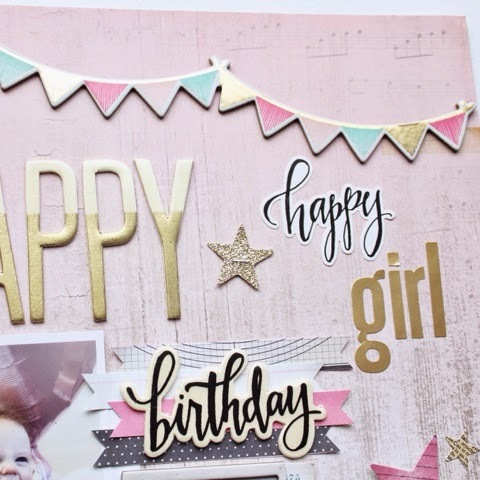 I have four nieces and I just knew that all the pink, gold glitter and florals in this line would be perfect for layouts about my best girls. 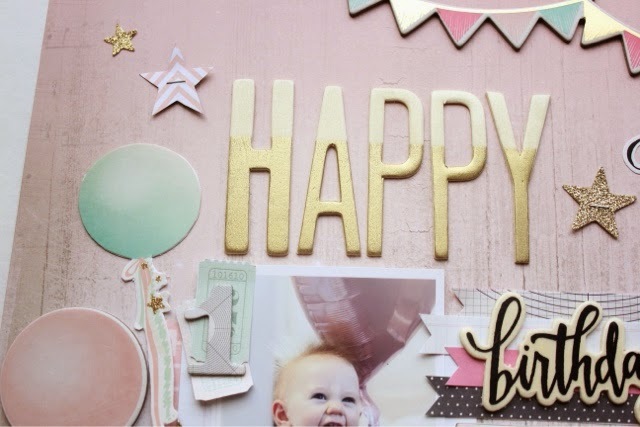 While I think this line works great with non-birthday photos, I really wanted to go birthday crazy to start with photos from Ruby Sky's first birthday. My sister made the most beautiful cakes for the party. Yes cakes. There was a smash cake for Ruby Sky and a big cake for the rest of us. 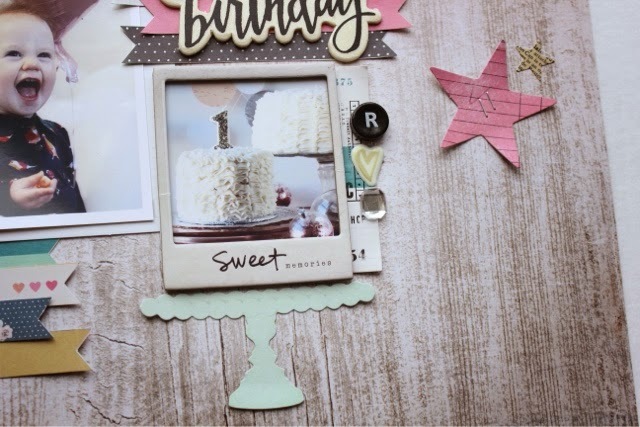 The chipboard frame and cake plate die cut were just perfect for the photo and then I tucked a tag under the frame and ran some little bits down the edge. 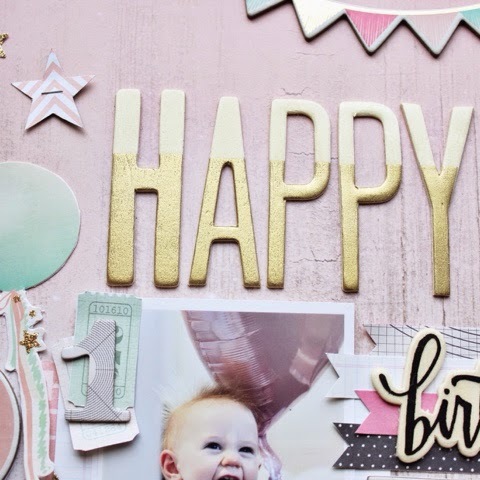 Those banner pieces are from a cut apart sheet and I layered them beneath my main photo which I placed on top of a card from the ephemera pack that had some gold glitter on it. 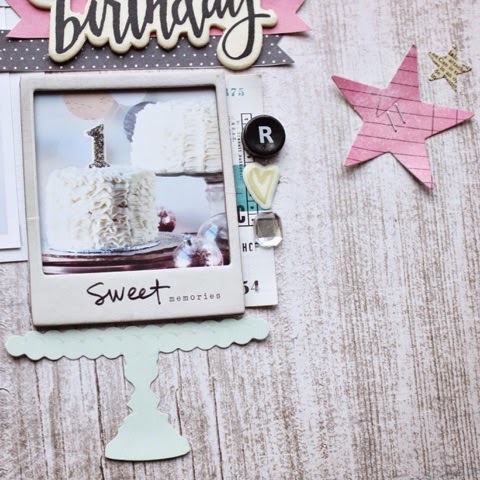 I cut some of the tickets from this sheet and placed them at the side of my photo with a Thicker 1 on top. I love the size and font of these wood veneer letters and they're half dipped in gold. So fun. I just love banners. I hope they never go out of style. I don't usually use so many different alphas (1), (2), (3), (4) for my title, but by sticking with just black and gold, I don't think they compete too much. 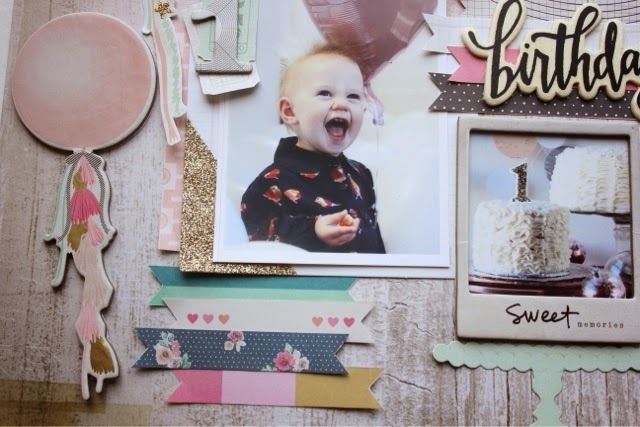 I have made two non-birthday themed layouts using photos of my nieces and one 'boy' layout using Confetti that I will be sharing in the coming weeks. 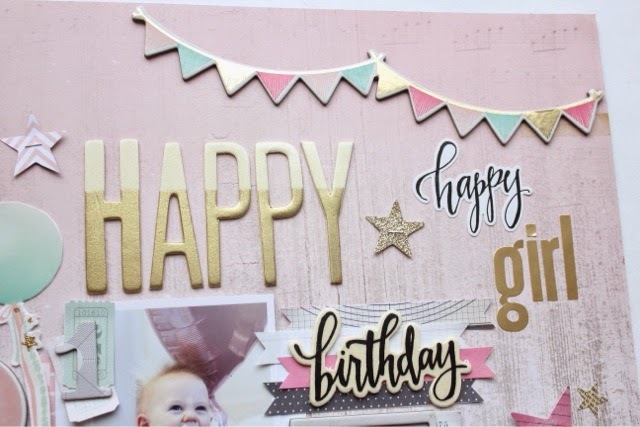 This line seems so birthday-ish and pink, but I was surprised at how versatile it has been already. 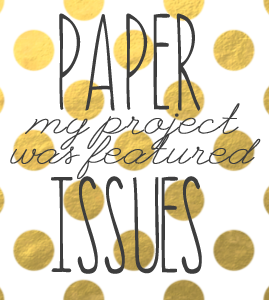 I can't wait to create some more with this line! 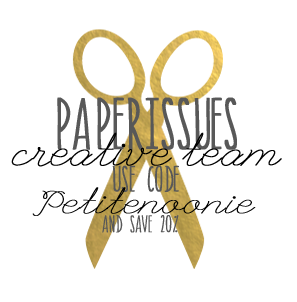 There are lots of items from Confetti available in the Paper Issues shop. Use my code 'petitenoonie' to get 20% off your entire order.